The fat lady sings, the opera is complete. She’s off to a restaurant, a friend to meet. Outside the theatre the crowd are mingling. Somewhere in the distance she hears someone singing. As she approaches, there’s a terrible scream. It’s then she remembers it’s the night of Halloween. She tries to run, but her legs won’t move. There’s an old memory she cannot remove! A night that was cold, dark and covered in snow. Run from a body that had been stabbed. Il Cavaliere Rusticana had just begun. 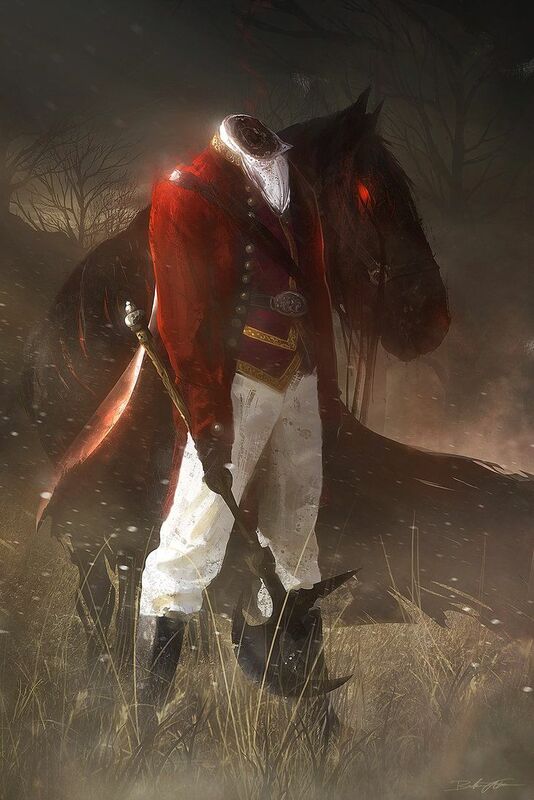 Don’t let tonight deliver anything so unkind……… Beware The Horseman! This entry was posted in Author/Writer, Raconteur and tagged BBC, Danny Kemp, halloween, headless, Writing. Bookmark the permalink. Maybe if she gave him a treat, it would help. :o) Great poem for Halloween Danny.